This year I have a tensile tree in my kitchen, it was actually Matt’s idea. I thought it would be cute to make ‘sprinkle’ ornaments for it. 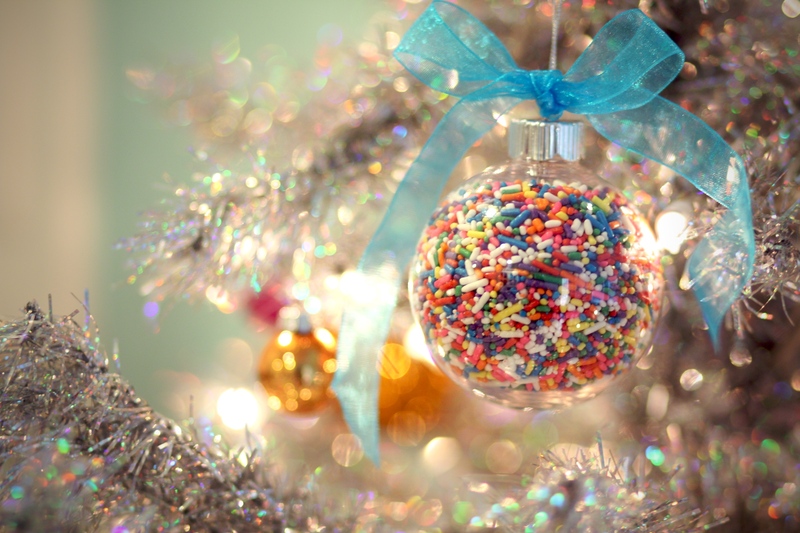 All you need is a clear glass or plastic Christmas ball and lots of sprinkles. Fill, tie with ribbon and place on your tree! Ean just likes to eat sprinkles!